In a recent interview, the President of Tecmo Koei,Yoichi Erikawa, spoke on how the company is aiming to sell over a million copies Hyrule Warriors. In addition to our Warriors series fan base, Nintendo’s The Legend of Zelda is also a very popular series with a large fan base, and I think it will become a great new market. Because of The Legend of Zelda’s legion of fans overseas, we are aiming to sell more than one million copies worldwide. A teaser trailer was released last December showing what the cross over would be like. During the video you can see link using techniques from previous games as he slices through hoards of enemies. 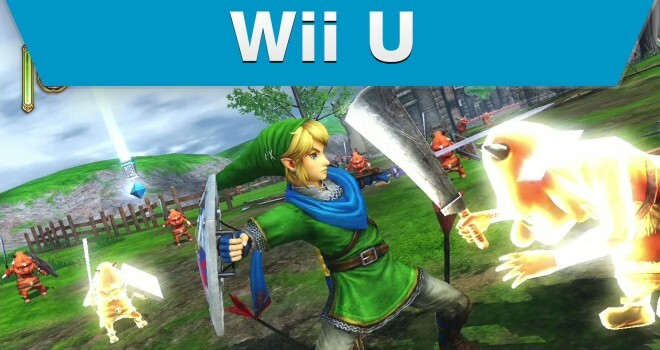 Hyrule Warriors(tentative title) is set to release on the Wii U this summer. Well it’s always good to AIM high.